It’s hard to beat the look and prestige of leather furniture – but what if you want real leather furniture? We’re not talking just any kind of leather upholstery though – no, we’re talking about the real deal. You want to find quality leather furniture you will only find in the homes and offices of those that truly want the genuine best. How do these people tell the difference between the real thing and faux leather furniture that fool most people? It’s not as difficult as you might think, and it all starts with a little planning. If you’ve been around authentic leather, you probably have an image in your mind of the smell and feel of the leather already. It smells like a western film yet feels smooth, warm, and durable. True leather ignites the senses in ways ordinary textures simply cannot – and it’s the best way to identify if leather furniture is truly authentic. That isn’t to say that genuine leather won’t have uniform patterns in the grain – in many cases, true leather does have some sense of uniformity. However, real leather furniture isn’t completely uniform like you would find on other types of upholstery, such as microfiber. When there is uniformity in the grain, it should always variate in a way where the leather isn’t obviously one uniform pattern. In other words, genuine leather doesn’t look like another pattern on a sofa; it’s unique, different, and as stated has a smell and texture that’s memorable. If you are still in doubt, feel the bottom of the upholstery. If it is genuine leather, it will feel rough. Check the back of the upholstery as well. 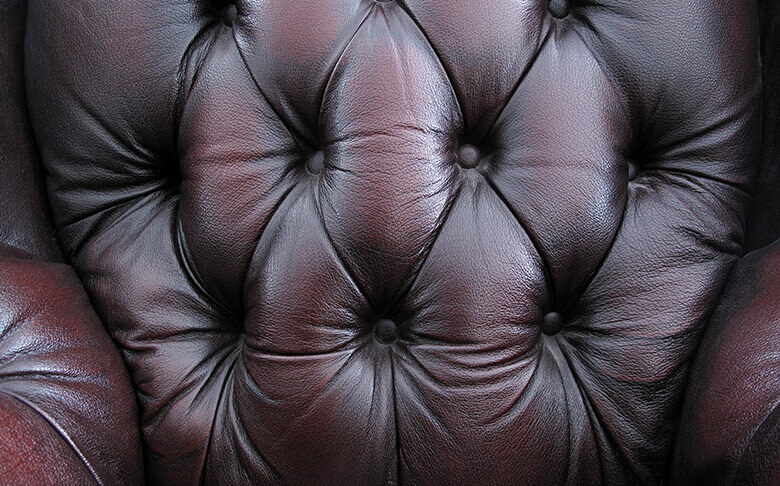 Genuine leather furniture does not have any colour on its back either as it always has an unfinished back. Further, squeezing and stretching true leather will show its natural markings; because no two pieces of leather are truly alike, you will notice tiny markings that you won’t find in any other type of leather furniture. Think of it as a birthmark, and a true sign that you’re looking at a real piece of leather. Take note that there are different types of leather furniture. 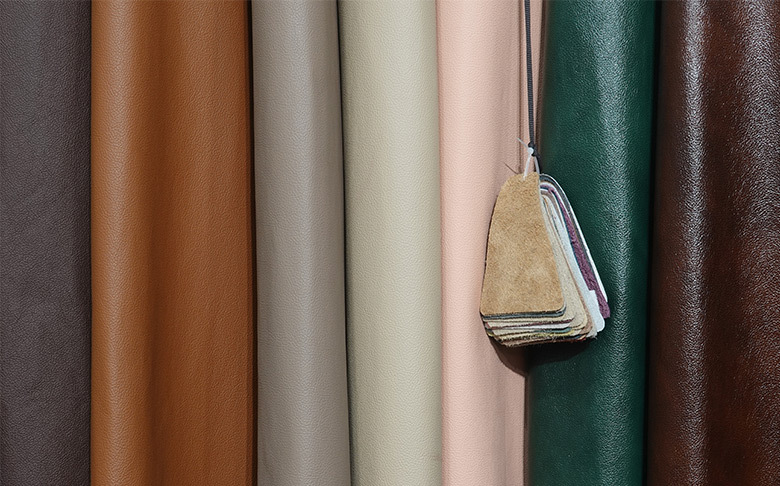 Aniline features transparent natural staining that makes upholstery soft and warm; pigmented leather is cold, stain resistant yet fades in sunlight. Most people opt for semi-aniline leather: the best of both worlds in terms of the best that the other two types of leather bring to the table. While it is warm yet protected against stains and natural aging, it is still important to never let leather furniture sit close to direct sunlight; in other words, keep your leather furniture away from windows! Need more tips on finding the best, authentic leather furniture? Want to browse our showroom? Stop by Guaranteed A Fine Furniture today, and learn how we can furnish your spaces with the best luxury leather furniture pieces today!